Do you have a pair of rubber boots you use for work, gardening, fishing or hunting? While relatively sturdy, they can sometimes become split or damaged, so it’s useful to know how to repair to repair rubber boots, before it happens. 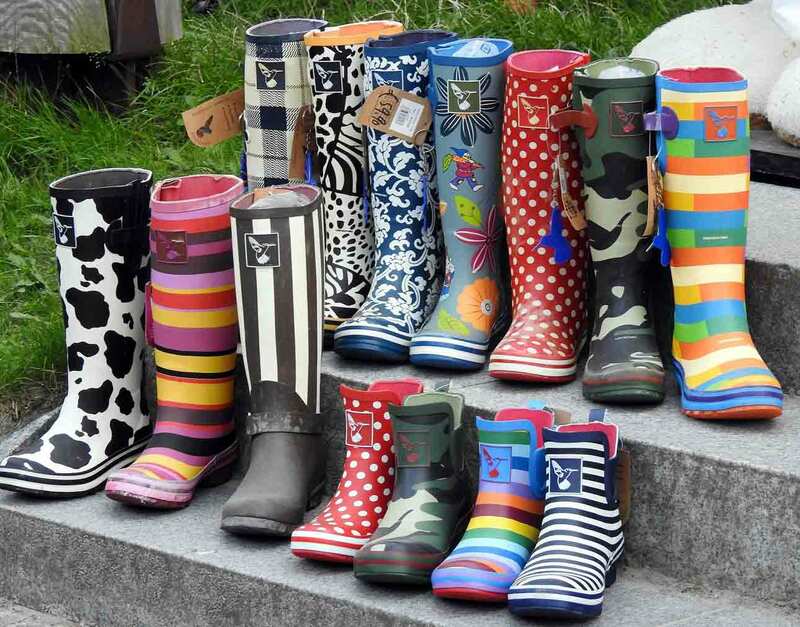 Just like any other footwear investment, rubber boots need looking after if you want them to look after your feet. Let’s be honest, some of these boots can be extremely costly, but they could last you years. Let’s discover how to fix damaged rubber boots, and also how to look after them. 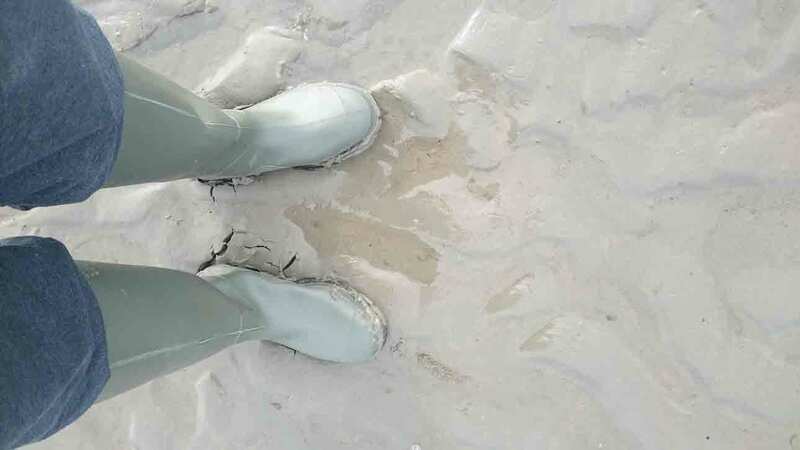 Over time, wear and tear can cause cracks or splits in rubber boots. Especially at the ankle area where you are constantly flexing and bending throughout the day. Another reason for a split in the boot could be damage from something sharp. Maybe your aim with a pitchfork wasn’t as good as you thought and you punctured your boot. Luckily, repairing a cracked or punctured boot is a pretty straightforward process. You don’t need lots of fancy equipment to carry out a functional repair. Wooden stick or a brush. Gear Aid Aquaseal: This is available in two different types: Aquaseal and Freesole. Both are flexible and will bond well on rubber boots. Shoo Goo Repair Adhesive: This sealant glue can be used on any part of your rubber boots and has good waterproofing properties. Using soapy water, thoroughly clean the outside of the boots. Using a cloth, make sure they are completely dry. Take the painter’s tape and mark out the area to be repaired by taping about two inches away from it on all sides. This leaves the hole or cracks exposed in the middle of the tape and seals off the rest of the boot from the area to be glued. Using sandpaper, lightly sand the area to be glued. This will make it rough, giving the glue better adhesion. Put on your rubber gloves, as glues can contain harsh chemicals. Take the glue and apply it on and around the hole or crack. Use your stick or brush to spread the glue, extending it at least an inch on either side. This will help ensure a good seal and prevent further cracking. Remove the tape and allow the boot to dry for 24 hours. Put a sponge or some paper on the inside of the boot being glued, to stop excess glue dripping through. This will also protect the inner lining of the boots. Remove the tape once the glue is in place. If you leave it, the edge of the seal might be broken when it’s removed. Use something heavy, like a can of beans, and roll it over the glue to push out any air bubbles and flatten it. Do this once a skin has formed on the glue, but before it sets hard. 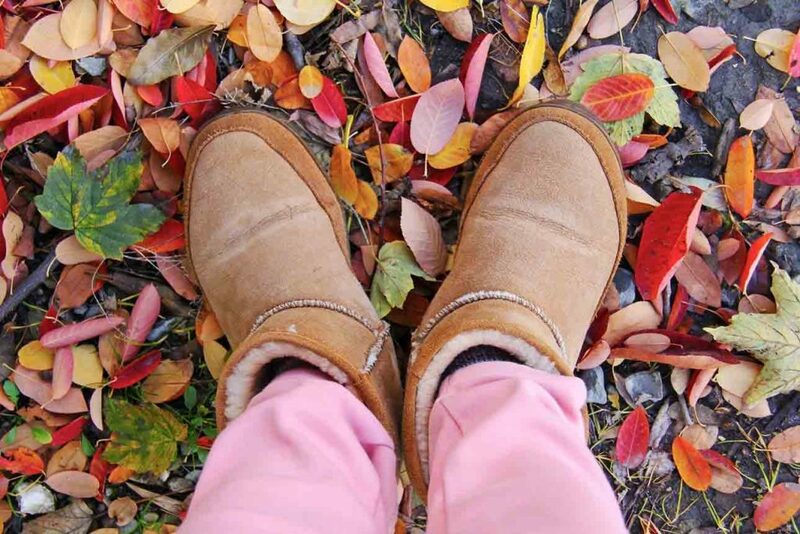 Make sure you glue your boots in a well-ventilated area — outdoors if possible. Sometimes accidents happen and you might puncture a hole in your rubber boots when you’re out working or away from home. 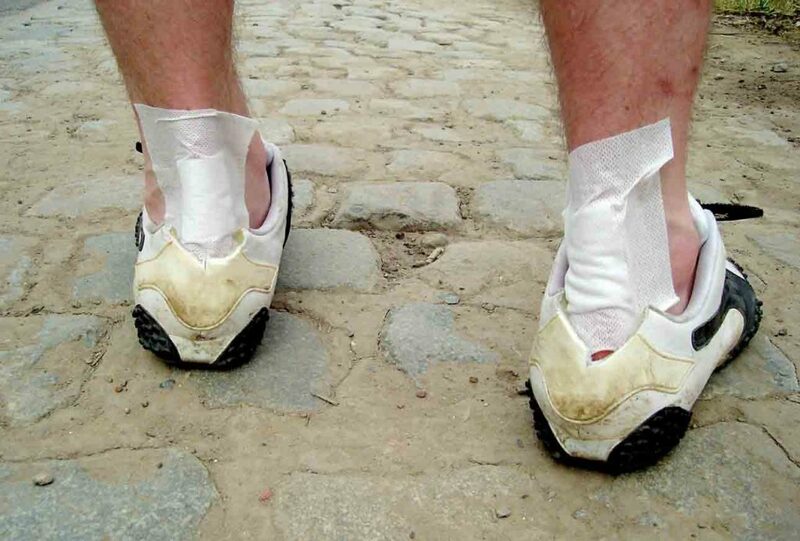 Carrying some adhesive patches around with you will allow a quick repair to keep your feet dry. This is especially useful if you’re working in a remote area. Patches designed for the inner tubes of bicycles will work well for this repair. Try a pack like these from Monkey Grip, which come with rubber cement and three different sized patches. These types of patch will be flexible and allow natural movement. Clean and dry the area to be repaired. Apply the rubber cement over the crack or puncture. Place the patch on top of the glue. Push it down firmly, right to the edges. Rub over the top of the patch, making sure it’s sealed. Leave the patch to dry for about five minutes. Extend the glue beyond the edges of the crack or puncture to prevent further cracking and get a good seal. Deal with any damage as soon as you can. Moisture on the inside of your rubber boots can damage the lining. This video from RealTree Outdoors shows you an on-the-go repair. 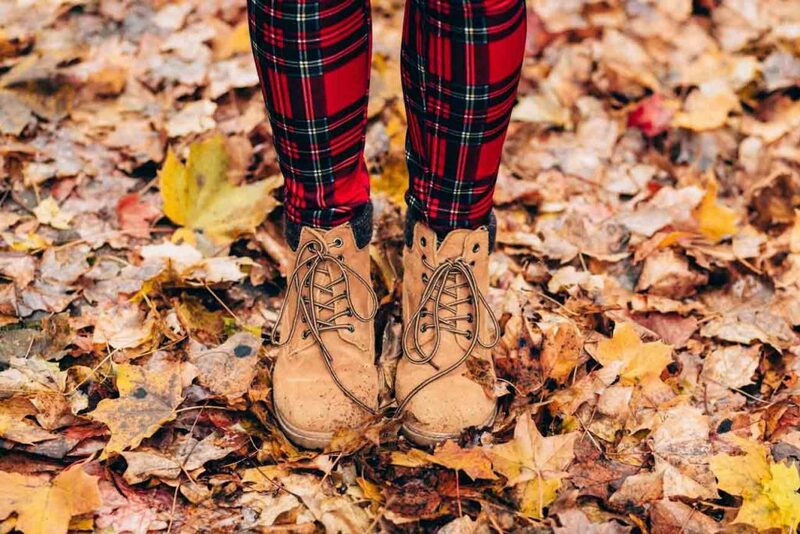 Although this isn’t a frequent occurrence, the sole of your boot can separate from the upper. This is not the end for your favorite rubber boots; fortunately, it can be fixed. You could use the same urethane glue you use to repair a crack or puncture, but there are also adhesives dedicated to this specific task. The advantage they have is that they dry quickly and do not need to be clamped while they do their job. An adhesive such as Boot-Fix Shoe Glue bonds almost instantly, and will withstand further wear and tear. It will be a waterproof repair that is thin and flexible, and will stand up to all weather conditions. Wash and clean your boot to remove any dirt. Make sure it’s completely dry. Fill the split between the sole and upper with your chosen glue. Check the drying time of the glue. If it isn’t instant, use a C-clamp to hold the upper and sole firmly together, and leave it for the recommended time. Just as you would do for a crack repair, sand the area to be glued first. This will help the adhesive bond better. There may be times when a crack or puncture is beyond what you feel capable of repairing. If you’re unsure about what you should do, a boot and shoe repair shop can do the job for you. Although generally a more expensive option, it’s unlikely to cost as much as a new pair of boots. After a long day wearing your rubber boots, whether for work or leisure, the last thing you might feel like doing is cleaning them. But it’s important that you remove the debris left by the day’s activities, to prevent them from cracking and wearing out before their time. Rinsing them out in the nearest puddle or under the outdoor hose might not be enough to remove the mud, dirt, and grime. 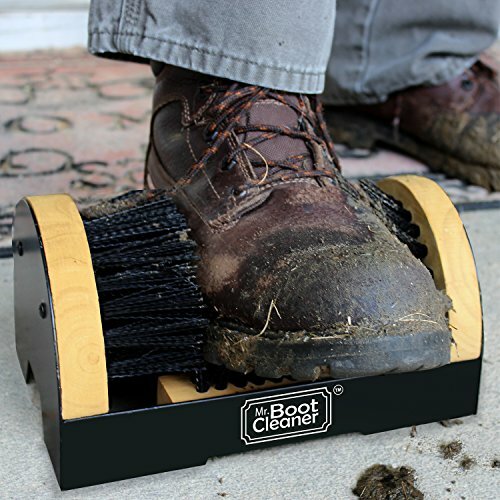 A floor-mounted boot brush, such as this one from Mr. Boot Cleaner, will help remove mud and dirt from the soles and uppers. Following this, use dish soap or other liquid soap to remove remaining dirt. Pop some on a scrubbing brush and give your boots a good old rub with it. Use an old toothbrush to remove any stones or grit stuck in the soles. Leave it to stand for a few minutes, then wash it off with fresh water. Be careful to keep the inside of your boots dry, unless you have time to let them dry out naturally before needing them again. Don’t leave them in direct sunlight to dry, though, as this can cause the rubber to deteriorate. Consider using a product like Grangers Rubber Boot Care, to condition and restore your boots. This spray will help your rubber boots stay in tip-top condition. The final thing to think about is the inside of your boots. While they keep your feet warm and dry, rubber boots don’t give them much chance to breathe. This can lead to sweaty feet and an odor build-up in your boots. 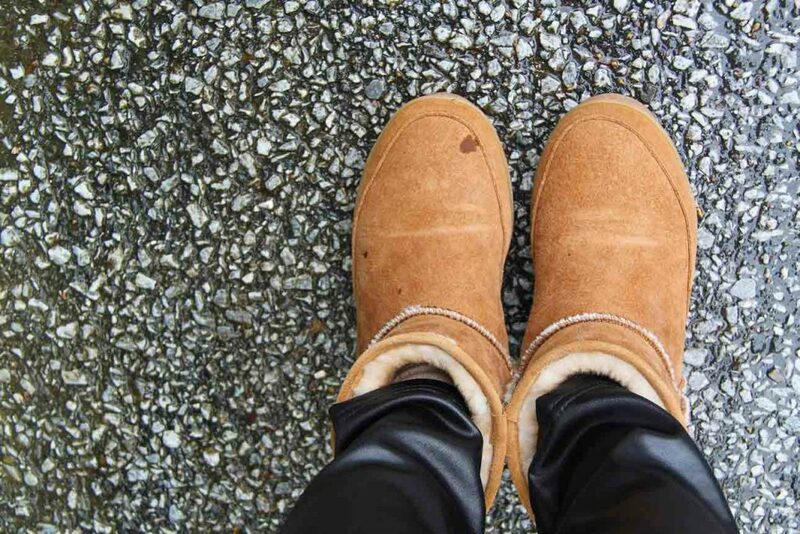 As a quick fix, you can sprinkle baking soda in your boots and leave it overnight. Just shake it out in the morning and it should have absorbed any nasty smells. Alternatively, you can use something like Grangers Odor Eliminator to neutralize odors. To prevent moisture from damaging the inside of your rubber boots, you can either stuff them with absorbent paper or use a moisture-absorbing sachet. Some like these Rejuvenair ones will absorb moisture and odor, or you can use silica gel sachets for moisture alone. There are times when your rubber boots just cannot be saved and end up relegated to the backyard as planters. The tread might be worn and the cracks may be so bad that they are no longer safe. However, there are plenty of things you can do while your boots aren’t past the point of no repair. Using adhesives is a quick and easy fix, which can give you years of use from your rubber boots. If you found our guide on how to repair rubber boots useful and enjoyable, please leave us a comment. We would love to hear your experiences and any tips you might have. Also, don’t forget to share, so others can extend the life of their rubber boots. We occasionally link to goods offered by vendors to help the reader find relevant products. Some of these links may be affiliate in nature, meaning we earn small commissions if items are purchased. Copyright text 2018 by Boot Mood Foot.